When the time comes to have this work done, we can help! 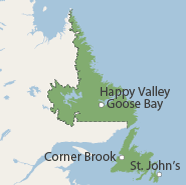 Our experts service our existing systems in Newfoundland and Labrador, including Corner Brook, Conception Bay South, Gander and nearby. If a sump pump warranty offers "free replacements", then you need to ask yourself: "When would I ask for myreplacement?"